Today marks one year since a Molino woman was murdered, and the Escambia County Sheriff’s Office says the hunt for the killer continues. Anna Louis Brown, also known as Anna Louise Brown Vega, was found shot and killed on Gibson Road off Crabtree Church Road in Molino on April 30, 2017. Brown, 38, was pronounced deceased at the scene; her body was discovered on or near the roadway. Investigators believe the murder was not a random act of violence, and they believe Brown knew the person that killed her. No suspect has been named. “Anna was a caring and compassionate person, helping others and ministering to them with God’s love and grace. She never met a stranger, often smiling and greeting many with whom she came into contact,” Anna’s mother, Sue Brown, said in statement released for the anniversary of her death. She said Anna had a vivacious personality with a joy for living life to the fullest, loved horses, walking through the woods, running and diving. She was active in her church and took several mission trips. 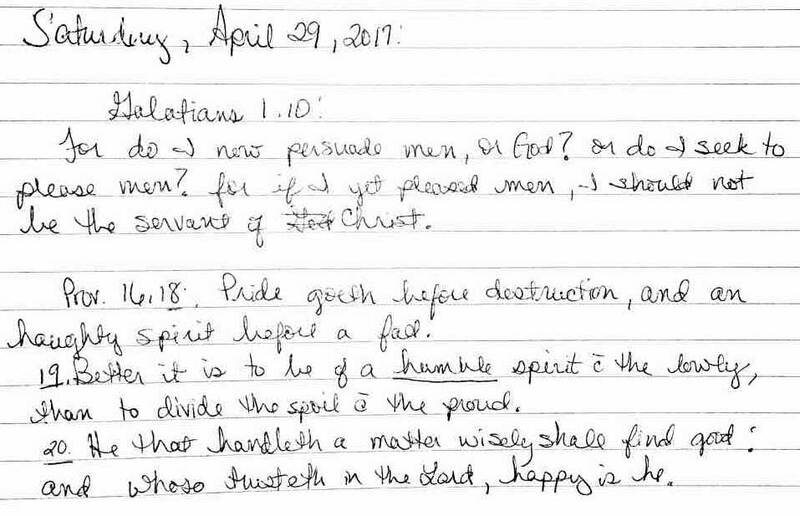 When Anna joined a class at Hamilton Baptist Church in Robertsdale, Ann was asked to write down something about her life. 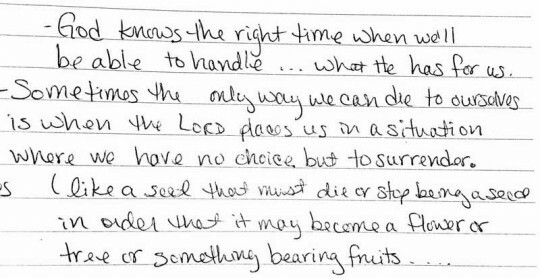 Anna’s mom has also shared entries from Anna Brown’s journal as seen on this page. 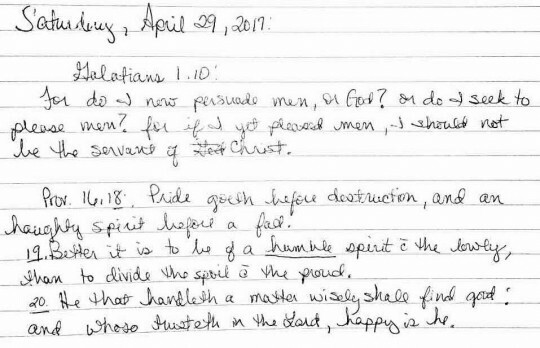 The ones above and to the left are from April 29, 2017 – the day before her death. To read the complete statement from Brown’s family and the words of Anna Brown, click here. Images for NorthEscambia.com, click to enlarge. I only met her a few times but she always friendly and had a nice smile. What a testimony she left behind. We will see here again if we take the same path she took. Believe in your heart and confess His name and you will be saved. She would want this for you and yes, even the murderer that made this world a darker place for many of us. Oh how much I miss that precious smile. She jogged by the farm as the sun was coming up and smoke coming off lake and would send me a picture of God’s portraits.She was always praising our lord! Anna will always be remembered by all that new her! Anna is joyfully praising and worshiping her Savior Christ Jesus without any worries of this old mortal coil to distract her. Happy for her but weeping for her loved ones left behind for a while. Her Lord knows who did this and is dealing with their heart. Praying for the killer to come to the Light. Lord may they not rest until they do. While I was in the Air Force in Omaha Ne., Anna was growing up in Florida. I never was able to see her much. but when I did I saw her vibrant Personality. Anna was hard pressed to not be liked by those that came in contact with. There is a note she wrote about a walk through the woods of Big Rock Creek on her great grandpas farm that brought back many memories of my youth. Her most important decision was accepting Christ as her Savior. Will you do the same. Went to school with one of her daughters. Such a tragedy. Hoping for closure soon. Praying God will bring justice and closure for this Family. 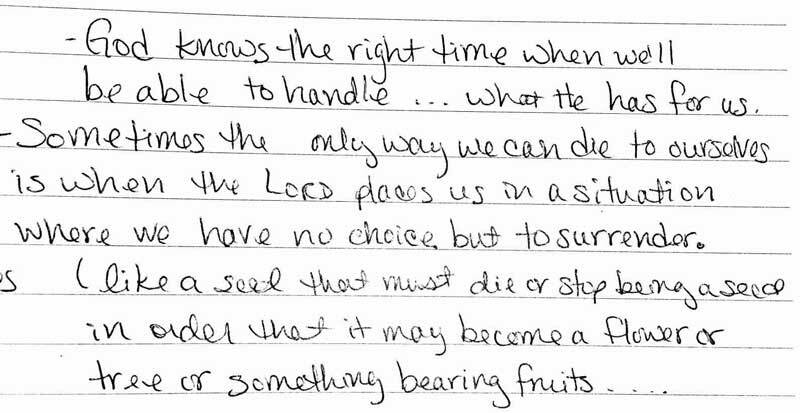 Wow, I did not know this woman, but one day I will see her and let he know that her writings/study notes if you will, were a blessing to me this morning. To her family, comforting prayers to each of you. Also praying this criminal comes to justice! Such an amazing woman that would do anything for others. I’m so blessed to have been able to know her and her sweet children! Praying for this family as the search continues. She was a very special person. Sweet, outgoing, pleasant, talented. I could go on and on. She is loved and terribly missed by everyone who knew her. Rest in peace, dear Anna!